A ladies only home based Beauty & Massage Salon, in Bishops Cleeve, Cheltenham. My name is Maddy Williams and I have 12 years’ experience in the beauty industry. 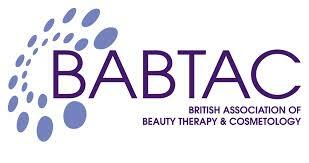 My Qualifications are VTCT Swedish Body Massage – Level 3 and an NVQ Level 2 in Beauty Therapy. I am also a CND Shellac Service Provider as well as an Indian Head Massage Practitioner. My comfortable treatment room is an oasis of calm where you can relax and be pampered. My key aim is to allow every client to leave the salon feeling completely satisfied and rejuvenated after their treatments. Treat your nails with one of our CND Shellac manicures, or relax and enjoy an indulgent, stress relieving massage. Orchid Beauty offers facials, Indian head massage, Swedish massage, lash lifts, waxing, and eye treatments to name a few. Orchid Beauty is accredited by the British Association of Beauty & Cosmetology, the most widely recognised membership organisation in the Beauty Industry, representing only highly trained professionals, so you know you’re in safe hands. Hope you’ve all had a wonderful Easter break! Here is a shot of a lovely lady’s treat for her special birthday. This is CND Shellac in Future Fushia. So perfect for this weather! Happy Easter All! Did this fantastic walk today, well worth the hike.